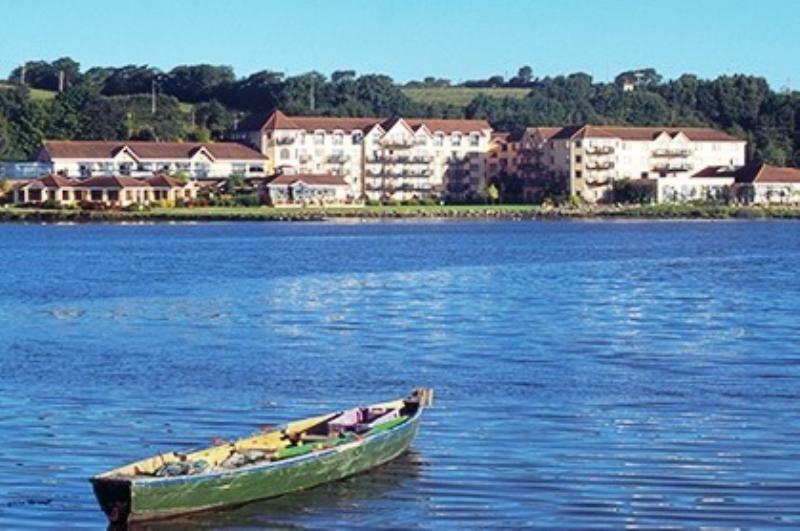 Ferrycarrig's proud boast is that every one of its 102 rooms has a stunning view of the Slaney Estuary; guests can also enjoy the scene by sitting outside the Dry Dock bar. Apart from its enviable location, this impressive modern hotel also boasts an on-site 'Beauty Lodge' and 'Active Leisure Club'. Fine dining takes place in the recently revamped Reeds restaurant, a formal dining room that makes the most of its romantic riverside location. The kitchen is a keen supporter of Irish produce, with names and sources highlighted on the menu. Here you will find Bannow Bay mussels in fennel, pancetta and Vermouth sauce served with a dulse soda scone, Duncannon monkfish, Kilmore scallops and tiger prawns in garlic butter with garganelli pasta, and navarin of braised Killurin lamb shank. John Hempenstall's Wicklow Blue Brie appears as a starter with quince ham and home-baked walnut bread, while the cheeseboard always features three prime examples from Irish dairies. For those who fancy something sweet, there are tempting desserts like tarte Tatin with Calvados syllabub or baked rice pudding with spiced plum compote. Sweet Potato, Feta Cheese & Pea "Kattafi"
Free Range Irish Chicken "Ballotine"